A delicious new experience of subtilities and flavors! The Fusion of pure maple and the fruits! 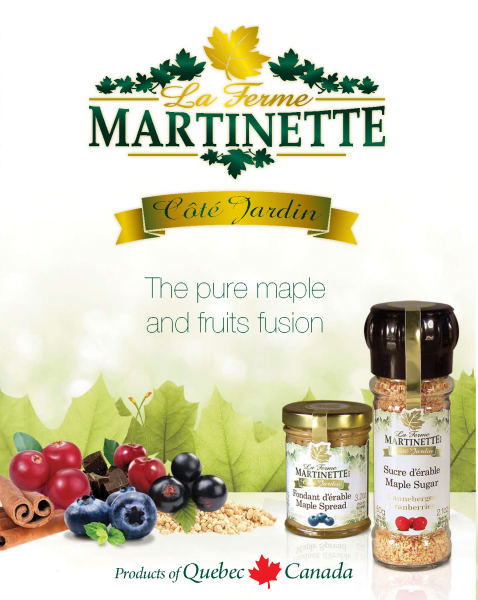 A sublime mixture of the high antioxidant and nutritive the pure maple products and pure fruits. As we are always aware of new trends and innovative products of great quality, we are proud of this unique product made only from pure ingredients. No additives, no preservatives, no added flavours…naturally!